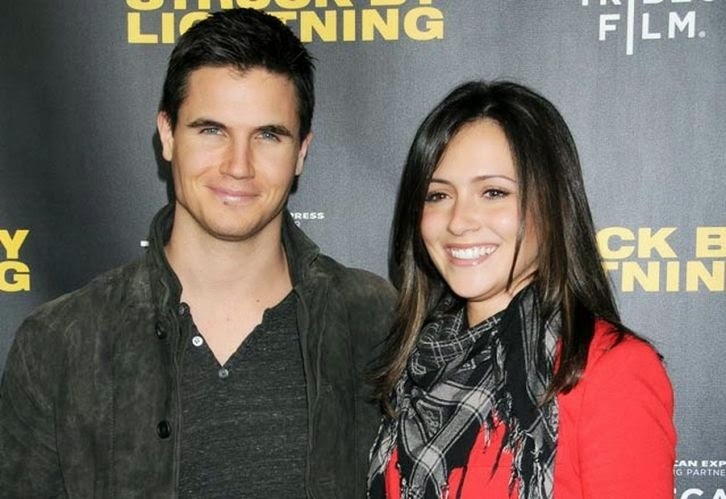 Former Tomorrow Person and future Flash star Robbie Amell is officially off the market! The 26-year-old actor is engaged to his girlfriend of six years, Chasing Life star Italia Ricci. Amell, the younger cousin of Arrow star Stephen Amell, announced the engagement via Instagram on Wednesday. "She said yes!!!... I think. I can't really be sure," he captioned a photo of the two kissing, presumably post-engagement. "I'm going marry my best friend."